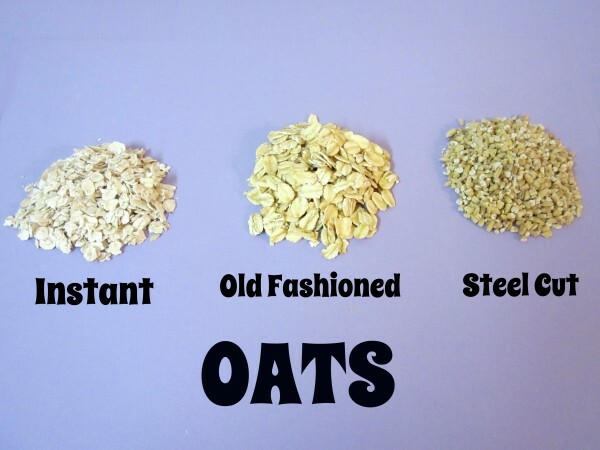 Instant Oats- These are the most processed. The groat is pressed thinner than old fashioned oats, pre-cooked and dehydrated. These cook up really fast. Old Fashioned Oats- The groats are steamed to make them soft then pressed between rollers and dried. 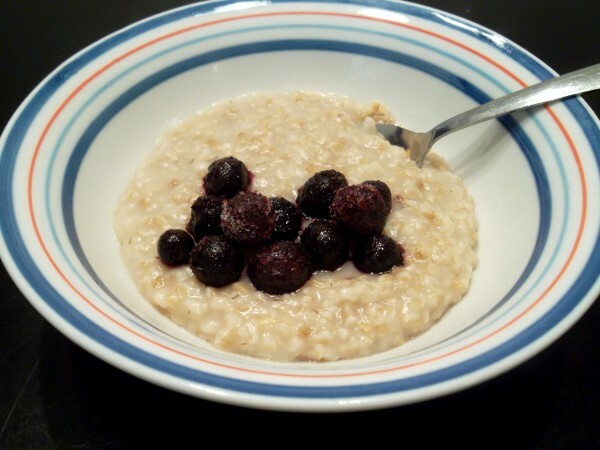 Steel Cut Oats- These are the least processed of the different types of oats. The whole groat is cut into tiny pieces. They are a good source of soluble fiber and can help reduce cholesterol. They also are high in B Vitamins, protein and calcium. These oats are chewy and have texture! They are not mushy! Well, it’s been a couple months now since I have first started eating Steel Cut Oats and you could say I am a little obsessed now! I have it most mornings for breakfast and sometimes for a little snack! I just love the texture of it and how quick it is. I usually make it on Sunday night and keep it in the fridge for the week. It lasts me until Friday. I just warm up how much I want for about 50 seconds in the microwave, add a pinch of brown sugar and frozen blueberries and I have an incredibly yummy and and healthy breakfast! In only 2 minutes. You can’t get better than that! Another plus is it’s super inexpensive! I buy mine in bulk at WinCo but I have also seem them at most regular grocery stores. Sometimes it’s called Irish Oatmeal. In a large saucepan, bring water to a boil. Add oats and salt and reduce heat to a low simmer. Cook 25-30 minutes, stirring occasionally, or until most of the water is absorbed. Gently stir in the vanilla and milk and cook for 10 more minutes.Top with desired toppings and serve warm. Store leftovers in the fridge for up to 6 days and warm up in microwave for 1 to 2 minutes. Add a little milk if desired.